Description: Smart and automatic shapes are used in this org chart to quickly produce professional results. 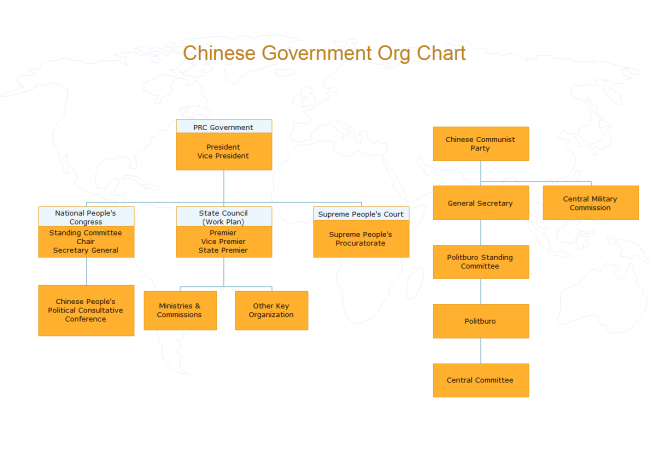 This is a free customizable Chinese government org chart template. Download or print it, instantly get a jump start when creating your own org charts. Only less than 10 minutes are needed. Created by Edraw Max, this template is available in different formats.